About 700 years before Jesus was born, God said, “But thou, Bethlehem Ephratah, though thou be little among the thousands of Judah,’ yet out of thee shall he come forth unto me that is to be ruler in Israel; whose goings forth have been from of old, from everlasting” (Micah 5:2). There were two Bethlehems in Israel so God revealed which one He was talking about by adding the word “Ephratah.” Jesus would be born Bethlehem, Ephratah. And during the 700 years that passed between the life of King David and the birth of Jesus, all of King David’s descendants moved away from Bethlehem, Ephratah. They scattered in every direction. Only one family in David’s line lived in the area. And this family didn’t live in Bethlehem, Ephratah. This family lived in Nazareth. Anyway, 700 years passed. And none of King David’s descendants lived in Bethlehem, Ephratah. But God said Jesus would be born in that little town. So God used a pagan Roman Emperor to move two of King David’s descendants to the exact town where He said Jesus would be born. Mary was great with child when she made the trip. Physically speaking, she probably shouldn’t have done it. But God brought her through. And Jesus was born at the prophesied place. Herod demanded that they tell him where the Christ should be born and they said, “In Bethlehem of Judea; for it is written by the prophet” (Micah 5:2). Thus, God’s 700 year old prophecy was partially fulfilled. He moved two of King David’s descendants to Bethlehem Ephratah so Jesus could be born exactly where the Bible said he would be born. Why was this a partial fulfillment? Notice, the rest of the verse, “Yet out of thee shall he come forth unto me that is to be ruler in Israel” (Micah 5:2). Jesus is destined to be ruler in Israel. He didn’t rule when He came the first time. But He is coming back to rule. “For unto us a child is born, unto us a son is given: and the government shall be upon his shoulder…” (Isa. 9:6). “Behold, the days come, saith the LORD, that I will raise unto David a righteous Branch, and a King shall reign and prosper, and shall execute judgment and justice in the earth. In his days Judah shall be saved, and Israel shall dwell safely: and this is his name whereby he shall be called, THE LORD OUR RIGHTEOUSNESS” (Jer. 23:5-6). “And the LORD shall be king over all the earth: in that day shall there be one LORD, and his name one” (Zech. 14:9). He taught Christians to pray, “Thy KINGDOM come…” (Matt. 6:9-13). And it will. 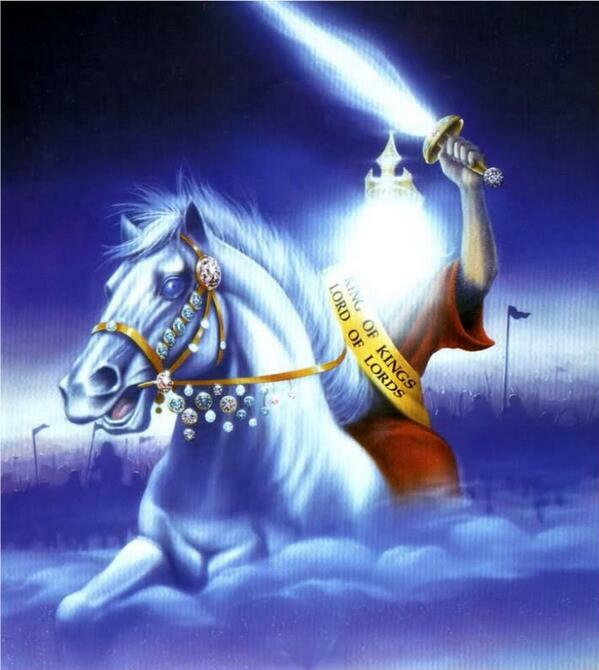 When He comes back He will have “on his vesture ‘KING OF KINGS, AND LORD OF LORDS’” (Rev. 19:16). This is why the return of Israel is so significant to students of Bible prophecy today. The first half of Micah 5:2 has been literally fufilled and prophecy students believe we are on the brink of the rest of it being literally fufilled. next post: Was Jesus Really Born of a Virgin?